Get the look you’ve always dreamed of when you visit Astoria Salon in Warwick, Rhode Island. Astoria Salon utilizes its exclusive line of hair care products to ensure healthy hair. Be sure to schedule an appointment to relax. All glazes incur an additional $10 with the color service. Olaplex Treatments with Color Process incurs an additional $20. Lori Urquhart's bridal hair work has been featured in Style Me Pretty's vlog, Rhode Island Monthly's Engaged Magazine, and various photography websites. Bridal Hair Design by Lori Urquhart, $100 -$150. Bridal consultation and trial $50 per hour. There is a $200 travel fee for all work done outside of Astoria Salon. 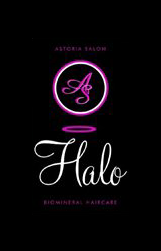 Astoria Salon is proud to offer our very own Bio Mineral Hair Care Product Line. Rich in botanical proteins and natural minerals, Astoria Salon’s hair products deliver a smooth, shiny, manageable look. Our products are free of sulfates, sodium chloride, parabens, and gluten. *Longer hair incurs an additional fee.